This book represents the complete specification for the Java Virtual Machine, the nucleus of the Java language. It is an essential reference for Java Virtual Machine implementors and compiler writers. 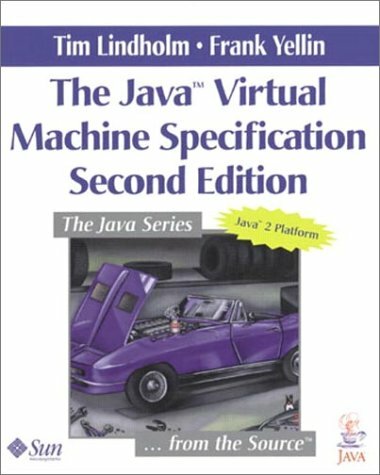 There is a complete coverage of the Java Virtual Machine class file format and instruction set, directions for compiling for the Java Virtual Machine with numerous examples, verification techniques, and more. Textbook for future professional programmers. They should understand how to employ three forms of structure: control structures, data structures, and component structures. The author emphasizes component structures over the other two forms. The book goes into great detail about every aspect of the Java programming language, from the definition of data types to the syntax of expressions and control structures. The goal is to help you understand all of the subtle nuances of Java. This text was developed for use in a standard Computer Science curriculum. It requires a little more effort to read. The text is not a brief encounter with object-oriented data structure design, but a touchstone for one's programming future.